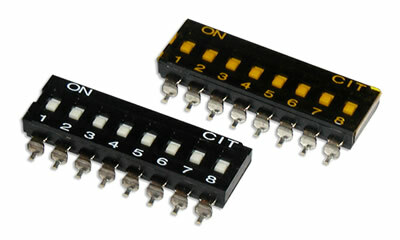 The KJ Series is a .100 pitch surface mount DIP switch. Positions range from 02 to 12 with extended or recessed actuator styles. Termination of the surface mount switch is gull wing gold over nickel plated brass. The KJ Series dual inline package switch offers a top-tape seal option with packaging options of tube or tape & reel.